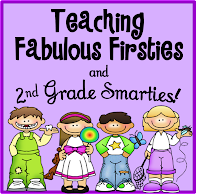 ♥Teaching Fabulous Firsties and 2nd Grade Smarties!♥: Creating Common Core Activities...& FREEBIES! 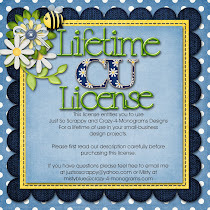 Creating Common Core Activities...& FREEBIES! 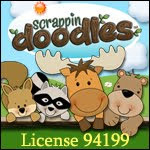 You can read more about it HERE at my Teachers Pay Teachers store. If you download the preview, there is a freebie sheet in there for you. I have found that creating my own materials to meet Common Core State Standards has made me A LOT more familiar with the standards than I was before! Do you find that as well? 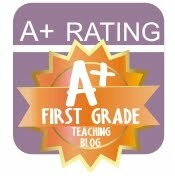 I also was able to overcome my technology issues and posted my Winter Math & Literacy Activities Pack. 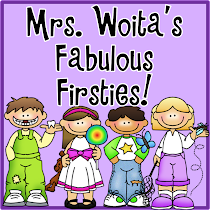 It has quick and easy centers and reproducibles for your Common Core classroom! These can be used as seat work and/or centers. These are adorable in color or in grayscale. The centers have just enough color to be cute and not deplete your colored ink supply! I have printed them in black and white and mounted them on colored paper and they are still adorable. Did I mention that I love things to be cute?!? 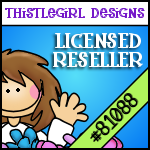 I'm linking up with TBA for Sometime on Sunday Freebie Friday! We had a fun day at school where it actually SNOWED during RECESS! 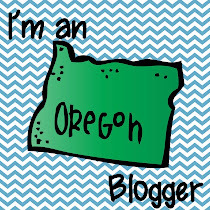 This was very unusual for us Oregonians! It was the first time that I could remember it snowing A LOT while we were at school. Since the kids were really hyper excited to work since it was snowing too cold outside, I had them do a writing activity where it was OK to really think about snow. We used a 4-Square writing format to plan out a paragraph. Since my Firsties are just beginning writers, I provided the topic sentence and the "wrap-up" sentence. They had to write three details explaining why they were going to have so much fun on our snow day. I thought they'd all be whining mentally exhausted by all of the thinking going on, but they actually wanted to move right on to using the 4-square to write their paragraph! I was very proud of the work they did and so were the kids! Here are some reproducibles for you to use if you'd like to try it in your classroom. CLICK HERE OR ON THE FIRST PICTURE TO DOWNLOAD. Please leave me a quick comment if you decide to use and download this activity. Thanks, so much! 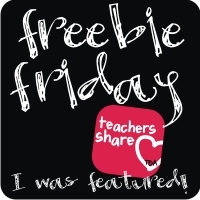 Now, go and explore other great bloggers' ideas for Freebie Friday! Have a great week, Everybody! What are you doing with your students this week? Thank you, Alyce! I hope you like it! Everything looks great:) Thanks for sharing, you've been a busy girl, sounds like you're hibernating like me.